One my friend's mum is really into crochet. I'd really admired the things that she had made so I asked her to teach me. I went round to their house and I was there for about two hours. She taught me the basics: chain, single crochet, double crochet, slip stitch and how to make a granny square. From here I made two granny square blankets and never used it again! Fast forward a year and a half and I just picked it up again out of the blue, making a scarf, a headband and a hat in the space of a week. I used YouTube tutorials to refresh things that I had forgotten and learn new things too. I think this was around November/December 2013. By February I was regularly being asked to make things for people. I had tried to open an Etsy at this point but you can't actually start one until you're 18! So I made a Facebook page until I was old enough to start an Etsy. I turned 18 in January and opened my store in April. 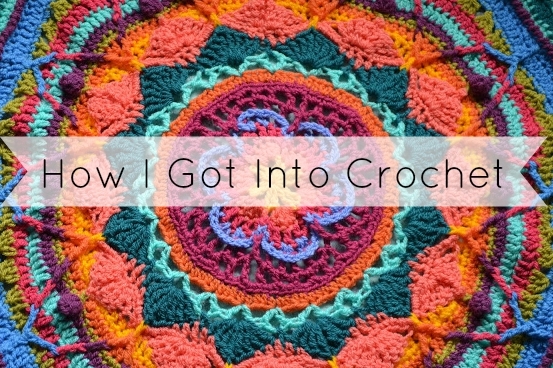 How long did it take you to get 'good' at crochet? I still don't think I am! As I've already said, I've been crocheting for three years but only really taking it seriously for about a year and a half. I'm really good at quite a lot of things and feel confident approaching written patterns. But there are still a lot of things that I don't know how to do! I feel like I will never stop learning about crochet as it's a total learning curve! You just don't see photos of the projects that end badly(like the horse I made for my sister's birthday, that's never seeing the light of day). Are there any online resources that you would recommend? There are a ton of resources available online if you would like to teach yourself to crochet. A quick YouTube search shows an absolute ton of video tutorials. I really like The Crochet Crowd because they have so many amazing videos that are really clear. The guy who runs the channel even posts left handed crochet tutorials when he's not even left handed! They have a really wide range of videos from tutorials for the absolute beginner to things that are a bit more complex. I also like Bella Coco Crochet's videos as they're so cute. Her blog is also great. I personally find it much easier to learn from watching videos as you can see it from your own point of view. There are ton of written tutorials and photos to also help you out! I have a few crochet books but in all honesty, I never use them! One thing to watch however: Americans use different crochet terms from the Brits. I personally use the American terms as most of the tutorials I follow online use them. Make sure that you know the difference between them and always check what a pattern is written in before you start anything. This question made me giggle. Why? Because I actually have no preference for elephants. I saw the pattern on Pinterest and thought it was really cute. They were totally unlike anything I had ever made before. So I just fancied the challenge which was why I made the first one. After posting a photo of it on social media, I had about 5 orders. And then the orders just never stopped. So here I am still making elephants one year on because that's what people keep asking me for. Maybe I'll get a gap in the orders and can try something else! So those are the answers to the questions I get frequently asked about crocheting! If there are any other questions you have then feel free to leave me a comment and I'll get back to you. Can you crochet? Would you ever try? Lush Haul - New Products!